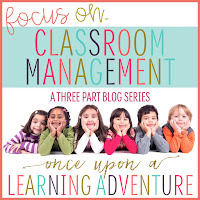 Once Upon a Learning Adventure: Classroom Meeting Routines that Build Community in Under 15 Minutes a Day! 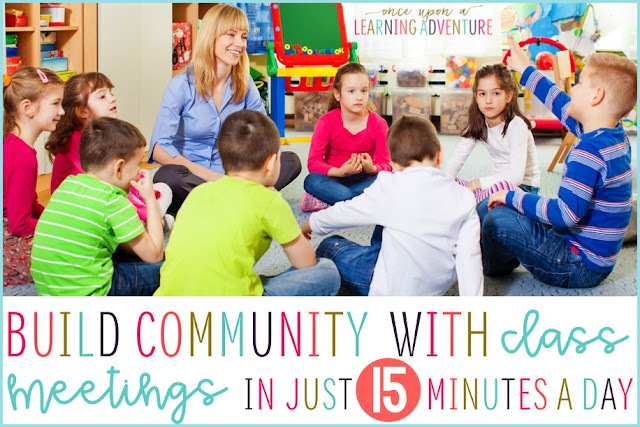 Classroom Meeting Routines that Build Community in Under 15 Minutes a Day! So you've heard of classroom meetings or morning meetings and aren't sure where to start or how to make them run easily and smoothly? I've got some simple routines to help you get your classroom meetings off to a great start! 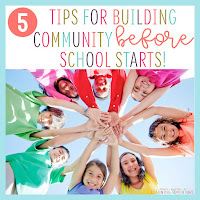 In no time, you'll watch your class transform into a loving and caring community! And, eventually, these meetings will even run without you! Yes! Even in the lower grades--it can be done! First off, routine is everything! I like to keep my meetings to no more than 15 minutes or so, and I like for my students to be engaged and participating the whole time! In order to stick to this tight timeline and to keep everybody focused, we use the same routine every. single. day! 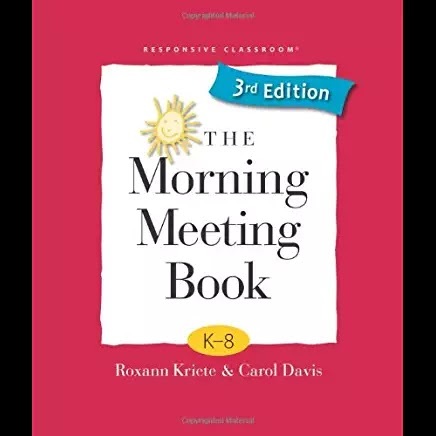 If you've read the Responsive Classroom's The Morning Meeting Book , you'll know that the four basic parts of a Morning Meeting are the "Greeting, Sharing, Group Activity, and Morning Message." If you haven't read this book, I highly, highly recommend it! It gives amazing background information and lots of tips for running meetings smoothly! Plus, it has fun ideas for greetings and group activities! Because of time constraints and my own personal preference, I have tweaked my meetings a little bit to better fit my teaching style and our daily schedule. In my classroom, our meetings consist of a Morning Message, Greeting, Thanks and Thoughts, Share and Shine Time, and either a Group Activity or a Talk-It-Out Topic. Our Morning Message is up on the board first thing when students enter the room, and since my fourth graders are independent readers, they read the message and respond as soon as they unpack for the day. In lower grades, such as when I taught first grade, I always had my message on the board during student arrival, but we'd read it together during our actual meeting time. The message generally consists of special events for the day and, occasionally, a quick question the kids can respond to with a sticky note or on the whiteboard. To signal for the start of our meeting, I like to use a song. In first grade, my Meeting Manager for the week would start singing the words to, "The More We Get Together..." and the rest of the class would join in the singing and gather at the carpet in a circle. In fourth grade, my Meeting Manager gets to choose a song from our class playlist to start the meeting. This year, our favorite songs were Heroes (We Could Be Heroes) by Alesso and Can't Stop the Feelin' by Justin Timberlake. The Meeting Manager plays the song, and everybody puts away their morning work and gets in a circle ready to go by the time the song is over. I encourage the students to sit near someone different each day, so they aren't always next to the same neighbors during our meetings. After we're all in a circle, the Meeting Manager gets everyone's attention and tells the class what type of Greeting we're going to do. (Yep, I participate, too!) At the beginning of the year, we practice all of our options for our greetings, and depending on the class, the options are handshake, high five, pinky shake, elbow shake, or something else the kiddos come up with--one class I had was obsessed with "The Dab!" The Meeting Manager gives the first greeting, and we just go around the circle greeting our neighbors--this usually takes under a minute. The most important idea I always stress is that students must smile and greet each other using their first names. You would be shocked how many kiddos would get away without knowing their classmates' first names if we'd let them! The rule is, if you don't know someone's first name, you politely ask, "Would you please tell me your name?" before giving the official greeting. When we have new students join our class, we always greet them by saying "Good Morning, ____. My name is ____" so they don't have to ask everyone for their names that first week or so. Once our greeting is over, the Manager asks if there are any "Thanks or Thoughts" to be shared. This is a time where students give compliments or appreciations, or even feedback about how things seem to be going in our classroom community. At the beginning of the year (and sometimes in the middle if we've forgotten), I model giving specific statements of thanks when students have gone above and beyond to help someone have a great day. The students practice using their peers' names once again, and they list the specific behavior or incident that made a positive impact on them. The students are encouraged to say things like, "Thank you, ____, for helping me to tie my shoe this morning," or "I appreciated you, ____, when you invited me to join your group today since I didn't have a partner" rather than things like, "Thanks for being nice to me" or "I like your shirt today." Sometimes the students won't have any specific examples to give themselves, so I'll ask if anyone witnessed anyone else doing something helpful or kind. Then, that third party will share something positive such as, "Today I noticed _____ picking up trash that was on the floor" or I will sometimes even share something that I witnessed and would like to highlight. All in all, we usually share a few of these, so it takes about 2-3 minutes of our meeting time. Next is Share and Shine time. I really wasn't sure if my big kiddos would like this as much as my first graders did, but they sure do! Our Share Time is not a show and tell time, but just an opportunity for the kids to share something that they'd like to tell the class about their personal or school lives. Sometimes kiddos will share about their weekend fun, sports games, troubles at home, classroom successes, or anything else that is on their minds. As long as the topic follows school rules, they are allowed to share whatever they'd like. Sometimes kiddos just want to be heard, and this means sooo much to them! It also really helps to build the class's sense of community as the students really come to know and support one another personally. To manage Sharing time, I allow students to sign up for a time slot once per week, which means I have about 4 students share per day. They each get about one minutes to share while the rest of the class practices active listening skills. This takes about 4-5 minutes. The last 5-7 minutes is pretty flexible. If any students have suggested a Talk-It-Out Topic, we discuss the issue that the student has brought up and the class gives suggestions and sometimes role-plays how to go about addressing the issue. I also occasionally use this time to address issues I've seen in the classroom or to model social skills such as how to give an I-Statement, give a sincere apology, or work with a peer for conflict resolution. If we do not have any Talk-It-Out Topics, we use this as our Group Activity time. This might be a quick game of Heads-Up, 7-Up, a low-prep STEM activity, or a GoNoodle video, which the kids always love! So, that's that--Morning Message, Greeting, Thanks and Thoughts, Share and Shine, and Talk-It-Out Topic or Group Activity Time! In just about 15-20 minutes per day, you can have amazing classroom meetings that will forever change your classroom community! It usually takes a few weeks of modeling and leading the meetings for things to get going smoothly, but after that, I hand the reigns over to the Meeting Manager and just scaffold support in leading the meetings as needed. By early fall, the students can run the meetings independently (even little learners! ), and when it is time for a substitute teacher or a change in schedule, I guarantee your students will still be begging to squeeze in their meeting time! They truly love it, and as a teacher, so do I! 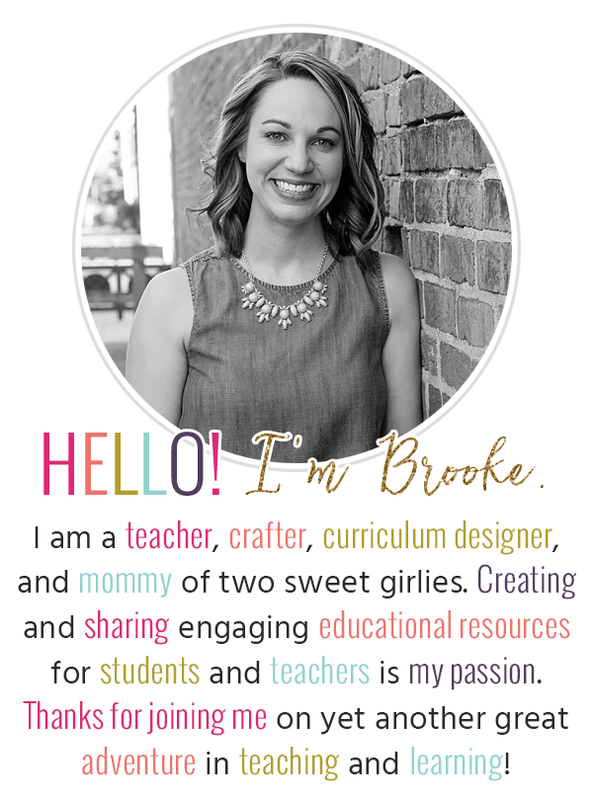 If you loved this post and want to learn more about Building Classroom Community, check out these other posts below! Great, such initiative will allocate learners to manage them in a much better and faster way, seems very interesting solution to this issue showbox on windows computer guides. Love your post! It was very practical and helpful. I like how each part has a specific purpose and the meeting keeps moving. I am going to take some time not to prep it for my first grade classroom for next year! Inspiring..Teach ON! Do you have the board labels for sale? Thank you for sharing this! I really love the titles of each part of your morning meeting and plan to try this as the new school year begins! Really inspiring!!! Thank you for sharing! I love this step-by-step for the class meetings. So helpful! Thank you. This article is really helpful! I am a first year teacher who was been struggling with morning meetings. Now I have a better understanding on how to facilitate one. Our principal this year encouraged us to start our weeks with something along these lines. I wasn't sure how it would work in my 5th grade classroom till I read your post. Thank you so much for this insight as a teacher of younger and older students. This is a great idea! Do you change your meeting manager daily, or weekly? Thank you for your blogpost!! Very helpful! - For the Thanks & Thoughts, do you do that in a circle? Whereby each student must say something? What do you do about kids who never get a shout out? - For the Share & Shine, do you ask students to sign up at least once (per month/semester/etc)? I could imagine some of my kiddos never signing up, while others ask me every week to sign up! Thanks!! There are writing companies offering custom written research papers in all subject areas and disciplines for USA, Canada, UK and Australian students. As the leading best custom term paper firm in ASA for the 13 years we have been operational, we have been able to perform beyond expectations.